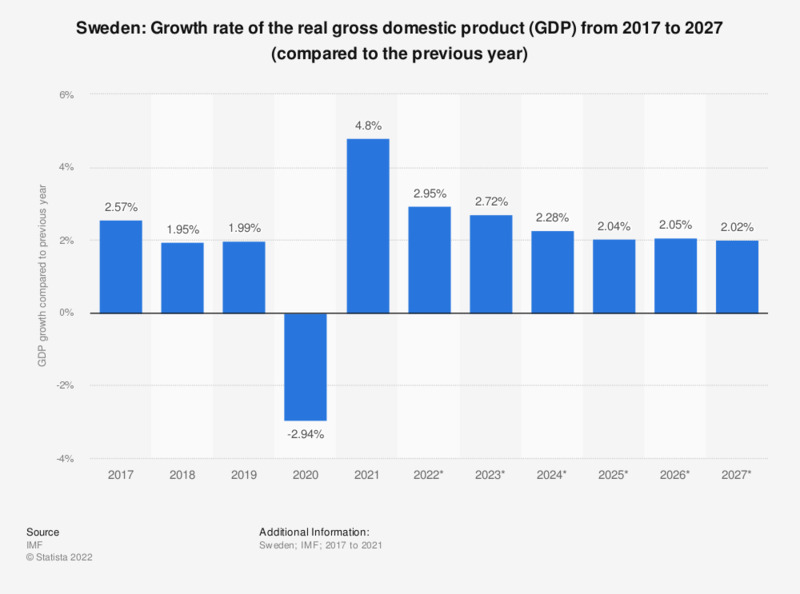 The statistic shows the growth in real GDP in Sweden from 2012 to 2017, with projections up until 2022. In 2017, Sweden's real gross domestic product grew by around 2.11 percent compared to the previous year. How do you think the financial situation of your household has changed over the last 12 months?